We have some corn lovin’ fools in my house. If fact, we say you ain’t a Ewer if you don’t love popcorn and sweet corn. There’s nothing my kids (and husband) love more to snack on than popcorn—well, maybe chocolate covered almonds, but then it’s popcorn! We usually have a big bowl of popcorn sitting out on the weekends for everyone to snack on. 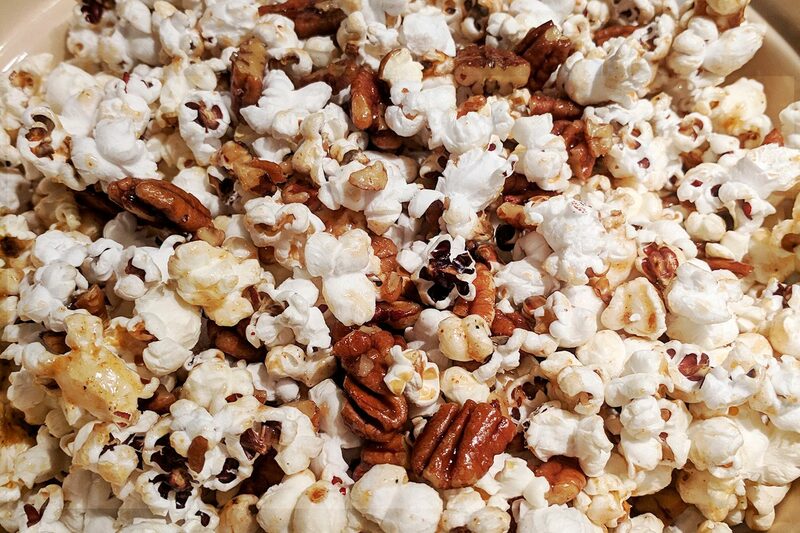 My kids really love kettle corn and caramel corn, so I thought let’s make a healthier version ourselves! It was a hit and extremely easy to make. We make it for parties and the kids love to take it to school for a snack. Here’s how to make it. Once you’ve popped the popcorn, pour it onto a baking sheet lined with parchment and season it with salt. Melt the butter over medium heat in a soup pot, stirring and swirling the entire time. Once the milk solids have formed and turned chestnut brown (about 5 minutes) add the maple syrup and stir. Add the pecans and cook, stirring until the caramel forms and thickens, 5 more minutes. Season with salt and remove from heat. 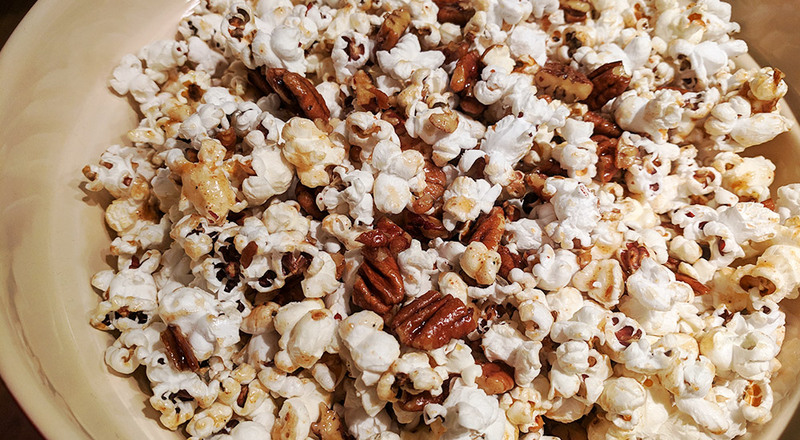 Pour the caramel sauce over the popcorn and toss to combine. Allow to cool to room temperature for about 30 minutes and then enjoy!